At Nicholas Home Improvements, we specialise in designing and crafting reproduction period timber doors, windows, entrances and French doors direct to the public and to Architects & Home Builders. We constantly strive to deliver nothing short of the best quality product possible at affordable prices. We only use the highest quality materials and offer many years of experience in craftsmanship using traditional joinery methods. Our timber windows and doors are made using traditional mortise and tenon joints for strength and to ensure they will last many years for people to admire and enjoy. We also pay great attention to detail on mouldings and other timber decorations for our Edwardian, Victorian and Federation entrances and windows. Please visit our Showroom and inspect our wide range of period style timber windows, French doors and entrances. We hope to welcome you soon! Melbourne's High-Quality Joinery Specialists. 50 Years Experience. AWC works into quality Honeycomb Blinds, Twin Blinds, Roller Blinds, and Plantation Shutters online providing a reasonable price in Melbourne. At Rylock Australia we’re proud of every product that we design, manufacture and specify. Our highly capable and committed professionals believe in letting our clients interact with our products wherever possible. This might be at a Rylock Australia showroom, in your friend’s house or at one of the many Home Shows at which we exhibit. 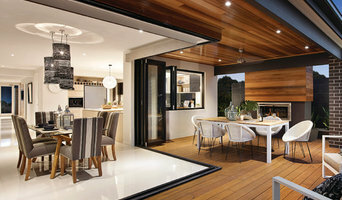 Windows and doors play a significant role in Australian homes; in regards to both style and livability. At A&L we understand this. We are passionate about windows and doors and work closely with our customers, to provide the best solutions for their unique requirements. Offering a diverse range of products and over 35 years experience, we are your window industry experts. Audsley Windows is one of Melbourne's leading specialists in architectural glazing systems, supporting the design, fabrication and installation of commercial style custom made aluminium windows and doors for all construction sectors. We pride ourselves on being specified by architects and developers who can rely on the known quality of work we produce. Established in 1989, Audsley Windows Pty. 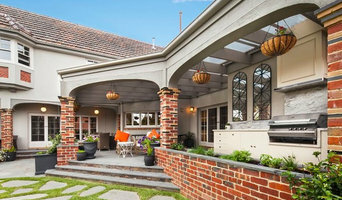 Ltd. has over 24 years' experience in the construction industry, based in Oakleigh South we cater to the needs of home renovators, builders and architects up to large scale property developers for projects all over Victoria. All of our aluminium windows and doors are manufactured in Melbourne from Australian aluminium, we do our best to utilise local suppliers of hardware and glass to reduce our carbon footprint and to support Victoria's economy. Palermo Joinery is a leading manufacturer of quality timber windows and doors. Established in 1965, we are proud to offer our experience of over 50 years in manufacturing quality window and doors. At Palermo Joinery, we are your local experts when it comes to timber windows and doors. We have experience providing a comprehensive range of windows and doors to match any style. This gives us a wealth of knowledge and expertise on all styles of windows and doors – as well as the properties they’re best suited for. Our experienced staff are trained in helping you make the right decision to suit your style and budget whether it be your new home, renovation, extension, development or commercial site. As a family owned and operated business, we go the extra mile to create products that exceed our clients’ expectations every time. We understand that every project is different. When it comes to windows and doors, there are all types of designs, sizes and styles to choose from. Our team are passionate about finding the right solution for you; something that not only fits the size and style you’re looking for but suits your requirements and your environment also. We make quality double and triple glazed uPVC windows and doors affordable to every home. ‘Sash Et Al’ “Timber and Steel Window and Door New Supply & Replication, Heritage Design Consultancy, Victorian & Edwardian Refurbishment, Commercial Contracting, High-End Domestic and Heritage works". Sash Et Al provides timber and steel windows and doors for domestic and commercial market, packaging the supply, glazing and install. These components are completed in-house to ensure quality control and to be able to problem solve or amend changes efficiently for main contractors. We often assist with design and practical decisions to again maintain efficiency with time and best fit-for use selection of product. We provide custom joinery for individual, small and large volume projects. These can be contemporary or traditional in style, tailored to meet high standard energy and acoustic ratings. We provide expert design & installation of quality custom built domestic and commercial windows and door fabrications that provide energy efficiency and noise reduction. We service Melbourne and the Mornington Peninsula. With 40 years experience in window replacement and Installation services we will transform your home or commercial premises to increase aesthetics, practicality and add value to your property. Our qualified team of experts provide advice & application of structural alterations including knocking out walls, increasing your window size & installing support beams & lintels where required. We give the best design & implementation for your window replacement project so you get the results you require long term. Our professional tradesmen specialise exclusively in window & door installations, proudly endorsed by our company 15 year workmanship guarantee. Free onsite quotations and advice. Get access to custom glass windows & doors We are an Australian company with more than 85 years of window experience in the domestic and commercial building industries. We supply some of the world's leading made to order double and triple glazed high-performance windows and doors throughout Australia and New Zealand. Our low maintenance windows are installed in homes, apartments, offices, shops, restaurants, or any building where natural light, style, comfort and energy savings are essential. Architectural Windows and Doors Australia is the exclusive Australian and New Zealand distributor of Marvin - the market leader in energy-efficient windows and doors. Across all styles of home or commercial building projects, from architecturally traditional to the latest and contemporary, we can provide superior quality custom windows and doors that will take all your construction projects to a new level! Steel Window Design specialise in the design and manufacture of steel windows and doors for all sectors of the Australian building and construction market. The team at Steel Window Design have many years’ experience in the steel window industry including manufacturing, design and installation. We have forged great relationships with architects and building teams alike and are committed to delivering innovative, elegant windows and doors that work - on time and on budget. Steel Window Design frames are crafted by our Melbourne based steel fabrication team who have been making quality steel framed windows and doors for the last 10 years. They have built a strong following and outstanding reputation for their exceptional craftsmanship and attention to detail. Welcome to Baseline Windows and Doors the specialists in domestic, semi-commercial and commercial Aluminium windows and doors. Baseline Windows and Doors have become a leader in the design and distribution of quality high end window and door systems. We aim to provide our clients excellent customer service, fast turnaround and the best quality windows and doors according to their needs. Baseline Windows and Doors will be the difference in quality, design and value, making your end project rise far above the standard home. We observe and understand the needs of the modern builder. The secret is that we listen to our clients, make constant improvements to our products, consistent quality control and are always exceeding Australian industry standards. In fact, our R & D department is continually looking for higher energy efficiency, giving the future home an advantage in our changing environment. Baseline Windows and Doors expertise, product assortment, knowledge and understanding will give you the finest result for your project. Window specialists can recommend the most suitable type of window for your home, whether louvre, leadlight or sash, and will advise on the best positioning for style, function and energy efficiency. They can also survey existing windows for rot, improper sealing, worn hinges, and foggy double-pane glass, and will tell you whether or not a window replacement or upgrade will be necessary. The professionals in this category are also knowledgeable in sliding doors, bifold doors, French doors and other paned portals. Your window specialist may also work closely with Ormond, Victoria builders and architects. Here are some related professionals and vendors to complement the work of windows: Shutters, Blinds & Curtains, Building Project Managers, Home Builders, Specialty Contractors, Cladding & Exteriors. Find a window professional on Houzz. Narrow your search in the Professionals section of the website to Ormond, Victoria Windows. You can also look through Photos to find examples of windows you like, then contact the professional who is responsible for them.